Choosing the Bluewater shopping centre in Kent for a landmark benefits reform speech might not seem an ideal arrangement. 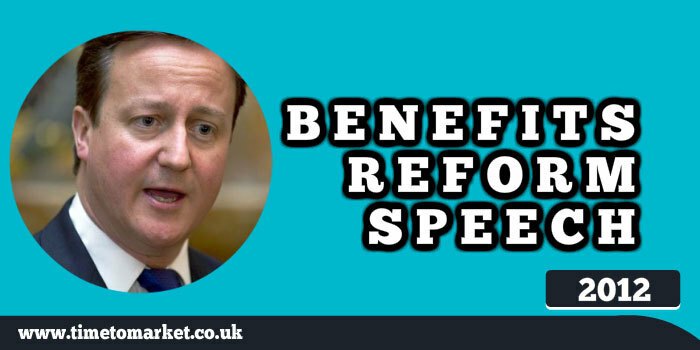 But the scene of Prime Minister David Cameron’s speech on reforming the system of benefits was important. His audience was probably the “squeezed” middle class that has the most to gain from such reform…even if they are unwilling to articulate it. And the speech itself sought to put clear blue water between the policies of the Prime Minister’s party and those of their coalition partner, the Liberal Democrats and the Labour party. His speech achieved that. As he mixed some faintly radical proposals with old-fashioned rhetorical flourishes. Where – I put it – those who can, should; and those who can’t, we will always help. He managed to combine a list of three, repetition and a then/ now contrast. And he is delivering remarkable results. OK, so he’s not going backwards with this one, but driving forward is now a cliché! On the one hand, it’s not right that someone can get more than £130-a-week DLA simply by filling out a bit of paper. But on the other, it’s not right that those with serious disabilities have nightmare 38-page forms to fill in. 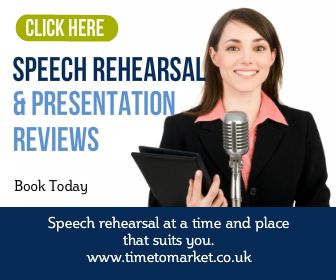 These examples brought his speech to life and gave his wider audience something to latch on to. It’s about doing what is right for our country not just for today but for the long-term – and that is what we are determined to do. This proved to be a workmanlike speech that has certainly got people talking. As to whether it’s achieved a clear blue water of difference come election time…that’s for the voters to decide. You can discover more public speaking tips with our regular series of tips for public speakers, podcasts and videos. 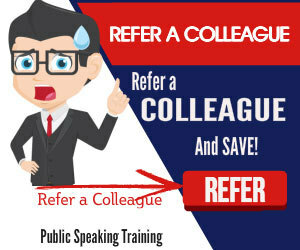 And, when you are looking to give your public speaking skills a further boost, then why not consider some training. Please don’t hesitate to get in touch when the time is right.